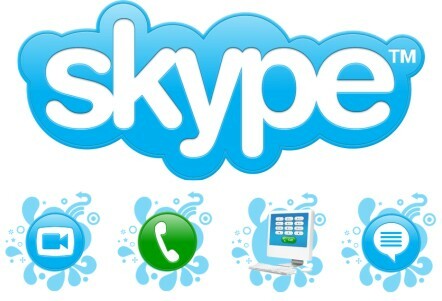 Skype popular for it clear voice and video calls quality and highly secure with end-to-end encryption. You don't even need to configure your firewall or router or any other networking gear for this. Skype not only work on Windows OS. It also works in Mac OS X, Linux and PDAs using Pocket PC. It also supports many Symbian handset, Android phone with a native look and feel for each platform. Talking, sending instant messages or even file transfers work between different platforms. For use Skype Messenger fast time you need to create a skype account for free. After create a skype account you able to make any calls or text chatting. Otherwise, who have not a Skype account, Skype give him a different options to login without create a new account. For this users need to input their Facebook or Microsoft Account (Hotmail, Outlook.com account) username and password. Anda baru saja membaca artikel yang berkategori Messenger / Skype dengan judul Skype 6.5.0.158 Final Standalone Installer. Anda bisa bookmark halaman ini dengan URL http://newhardwaresoftware.blogspot.com/2013/06/skype-650158-final-standalone-installer.html. Terima kasih!